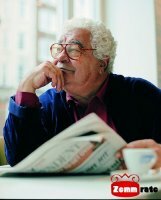 Antonio Carluccio ambassador of Italian cuisine in the UK. 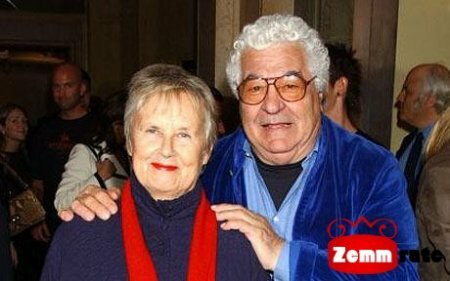 Founder of the most extensive network Carluccio's Caffe in Britain Antonio Carlucci eats for breakfast porridge, does not like Indian food, and calls them all open restaurants with their children. 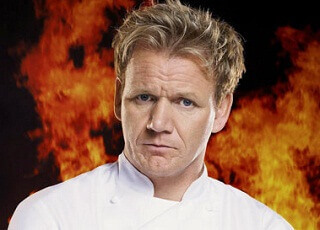 On account of his two television series and the Air Force more than a dozen best-selling cookery. 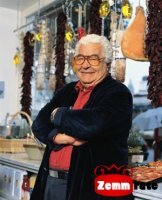 Living in another country, the famous chef and restaurateur made the purpose of his life popularizing the cuisine and wines of his native Italy. 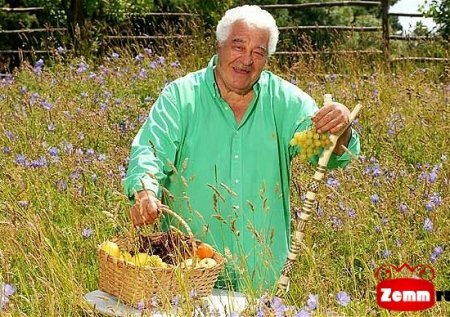 His services are highly appreciated both at home and in England: Antonio Carluccio has the higher rank of civil Italy - the title of Commendatore, and in 2007 he became the order bearer of the British Empire. 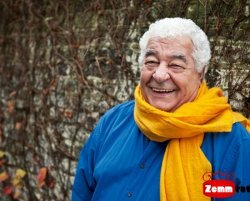 Name Carluccio - is, above all, an extensive network of Italian restaurants in England, the most popular places left far behind many English culinary celebrities: pass through them a week tens of thousands of people. But this is not just a restaurant with Italian cuisine. 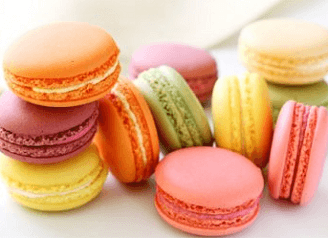 They are integral to the grocery shops and even bakeries, serving Italian food and delicacies. 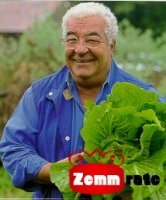 Antonio Carluccio was born in 1937 in southern Italy, in Salerno, in the family of the railway the fifth of six children. He had a happy childhood in spite of the poverty, the children were always well fed and groomed. But then he died younger brother Enrico, and with it ended the family fortune. Mother of grief left the sect "Jehovah's Witnesses", promises her son back. Family life has lost all meaning, and Antonio left home - first to Vienna, then to Germany. Thirteen-year ordeal started not so lucky wholesale supplier of wines. These were difficult years, and it often happened that he could barely make ends meet. Already becoming known, he recalled how one day decided to afford steak: very much like meat. One can only imagine his condition when he saw his faithful dog Jen eats the piece of meat with bone, lovingly roasted them for yourself. In 1975, thirty-eight, Antonio came to London. Here in the Neal Street Restaurant in Covent Garden, where the Italian got a job, he met with his sister restaurant owner, a famous designer Terence Conran, Priscilla - working women, ambitious and very talented. They were both no longer young, both were behind failed marriages, and Priscilla also raised three children. Was not madly in love, just met two people who enjoy being with each other. They were married. So poor, rootless Italian approached Conran clan, one of the most famous in England. In 1981 he became manager of the restaurant, and in 1989 - his owner. "Grocery store and restaurant in one bottle"
The idea - to open a restaurant at the store with related products - belonged to Priscilla, and in 1991 it was opened. To withstand the store brand of Italian products, item home he drove himself and his wife, bought it from local suppliers and manually labeled. 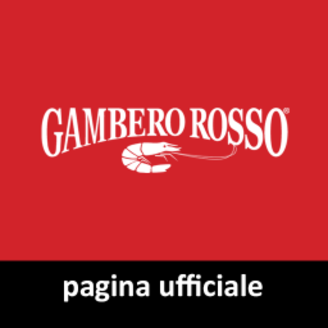 The main components of the range of goods brand Carluccio steel oil, sauces, pasta of different varieties, spices and wine. Experience in a format shown that the idea of uniting under one roof deli and restaurant very advantageous. And in the late nineties, along with his faithful companion and business partner and his wife Priscilla, he decided to take up the implementation of the main project of his life. But in order to discover just three or four such institutions needed serious investments, which was not easy to find. The main reason why investors are in no hurry to invest money in the project was the lack of start-ups have already implemented successful campaigns. And only then, when it came to Simon Kosoff, behind which already had experience of such activities, the case began to touch to the place. To collect the necessary 2 mln.funtov sterling took a half years. The first facility was opened in late 1999 in the heart of London. The entrance to it begins with a small wine shop and delicatessen, through which it was possible to go to the restaurant itself. Relaxed atmosphere and simple dishes he resembled traditional Italian "trattoria", but well thought-out interior and a special unique style firstborn Carluccio's Caffe, however, as all subsequent institutions, distinguishes it from the usual Italian eatery. In the first year of the business plan could not be performed: planning to open three points, but mastered only one. To increase profitability often changed menu extend the life of the institution. Visitors can take from 8 am to 11 pm, unlike other British restaurants usually closed until noon. This mode of operation Carluccio's Caffe saved so far, due to which its turnover is much higher than the competition. But by the end of the second year, the company Carluccio's was already six institutions whose turnover amounted to 6 mln.funtov sterling. Further terms were growing like mushrooms after the rain: five schools per year. Suppliers in the first year of operation there were only a few, became the very first family of Liguria, supplying olive oil. Today, their number has exceeded 30. 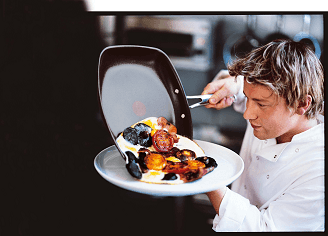 Restaurants network Carluccio's Caffe attract visitors not only excellent quality of cooking, but also a democratic, by British standards, cost: 10-15 pounds for a main course. There are no restrictions or by check, or by time: it is possible at any time of the day or night to order a regular cup of coffee or a glass of wine, and you can dine and thoroughly. But when shopsресторанах not lived up to their expectations. Weekly average number of cash transactions are three times less than in restaurants. People shopping in the store, do not hurry to move on to the restaurant, on the other hand, coming away the evening of cozy tables, they are not intended to be purchased with this product. But, as it turned out, this is not the main purpose of trade components of the original model Carluccio's Caffe. According to the managing director of network Kosoffa, they are, above all, the creation of an unusual atmosphere. 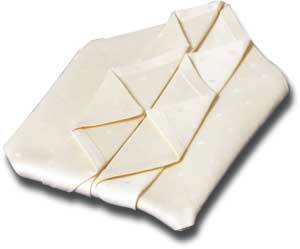 It manifests itself in the original packaging products, and the use of products for interior decoration shop restaurant. Both components - shop and restaurant - visitors are perceived as a whole. People see some of the products prepared dishes and trademark Carluccio's on each of them is a guarantee of freshness and quality. To get to the network family Carlucci. Interiors Carluccio's Caffe developed Priscilla herself. She opted for the Italian interior, highlighting the inherent brightness of this style, simplicity and convenience. The combination of white limestone walls and various shades of blue, lots of mirrors, alternating wood and chrome elements, open cabinets with exposed them handcrafted souvenirs (and all this with a monogram Carluccio) create a unique style of Carluccio's Caffe. 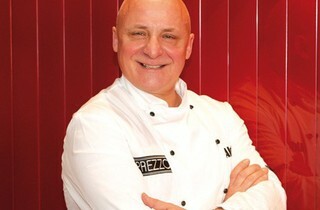 Priscilla has repeatedly acknowledged that its main goal was to create an atmosphere in their restaurants relaxed, natural, and it is undoubtedly succeeded: the situation in the Carluccio's Caffe favorably with conventional and stereotyped interiors in network institutions of their competitors. A unified approach to interior decoration, to the range of products in stores and in restaurants menu is kept in all enterprises network, thus achieving brand recognition Carluccio's. Contributes to this single, bright blue-and-blue uniforms of personnel. Today the network of well over fifty points throughout the UK, Ireland and stepped into the Middle East. 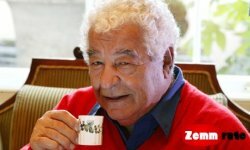 Although the 75-year-old Antonio no longer owns a chain of restaurants under his own name, he laments that the current owners of the company wants to increase the number of points to 100. He is well aware that this will be done at the expense ofкачеству. In 2008, he was admitted to hospital with a stab wound to the chest. It was said that being in a deep depression, Antonio could do it myself, but he claimed that it was an accident. For him, it was not the best of times. He immediately got two hits: separated from his wife and was forced to close his favorite restaurant Neal Street - their first restaurant with Priscilla, who made his name. What are the only great men did not sit at his table: Prince Charles, Placido Domingo, Mick Jagger! In his kitchen preparing their first Italian food itself Jamie Oliver! 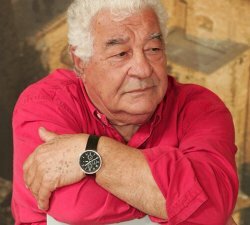 Antonio felt that these two events ended the era of Carluccio. Now he is busy, he writes his autobiography. There is a place in it and reasoning about famous colleagues, and evaluating their own work. 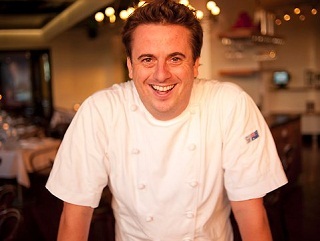 Having lived half his life in England, he had studied English cuisine. 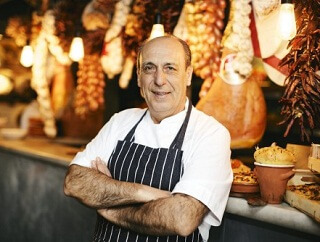 The famous Italian confident that the British have great systems in relation to your own kitchen: underestimating it, they are in thrall to the obsession of its synthesis, so try to bring too much into it from outside. The journalists' questions, he does not regret that did not leave any children, Antonio, without hesitation, replied: "My children - my restaurant."